Hi Temp 550c - Thermal Management - Materials - ZT | Zippertubing Co. In our continuing efforts to provide solutions to customer problems, The Zippertubing® Company has developed an extensive line of moderate to extreme high temperature products. High-temperature materials are used to provide a method of temperature reduction from external sources protecting your wires, cables or sensors from an external heat source by reflecting and or absorbing the potentially damaging heat. The jacketing materials are rated for temperatures from 177°C up to 900°C for short durations. Heat protection products are not solely limited to tubular forms for cables and pipes alone. Component application's often demand specific forms and shapes with different closure and wrap methods. The Zippertubing® Company products are available in many different shapes and sizes, and custom configurations can be produced to meet your specific needs. 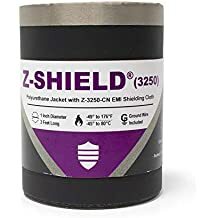 Although Zippertubing® products are primarily designed to function as heat shields, the materials are also an effective barrier against most oils, grease, brake fluids, fuels and many low percentage acids or caustic liquids. 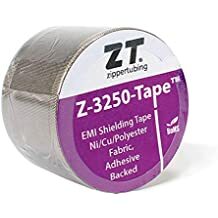 Zippertubing® offers high temperature thermal protection products used to protect wires, cables or sensors from an external heat source by reflecting and or absorbing the potentially damaging heat. Heat protection products are not solely limited to tubular forms for cables and pipes alone. The Zippertubing® Company products are available in many different shapes and sizes, and custom configurations can be produced to meet your specific qualifications.